Retired Sheriff Michael J. Ashe, Jr.
An individual depositor informs the Public Lobby Officer which inmate they wish to bail. The Public Lobby Officer calls the Intake staff, and on weekends a Supervisor, to inform of the bail request. Intake staff or the Supervisor reads the inmate’s mittimus to determine the bail amount and informs the Public Lobby Officer of the bail amount and the Bail Clerk’s fee and if the inmate has a warrant, detainer or other holds, to determine if depositor still wishes to post the bail. The Public Lobby Officer confirms that the depositor has correct bail and fee amount in cash and informs the Intake staff or Shift Commander. The Intake staff or Supervisor calls the Bail Clerk via phone to inform him/her that the depositor has correct bail and fee amount in cash. The Bail Clerk proceeds to the Public Lobby to receive deposit for the bail posting. The Intake staff or Supervisor holds bailed inmates at the WCC who have an ordered condition of bail for ELMO. The Intake staff or Supervisor arrange to have the inmate with ELMO transported to Court Monday – Friday, 8:30am – 4:30pm and when bail is posted outside of normal business hours, to the Probation Department. An individual depositor informs the Public Lobby Officer which inmate they wish to bail out. The Public Lobby Officer calls Intake staff, and on weekends the Supervisor, to inform of the bail request. Intake staff or the Supervisor reads the inmate’s mittimus to determine the bail amount and informs the Public Lobby Officer of the bail amount and the Bail Clerk’s fee and if the inmate has a warrant, detainer or other holds, to determine if depositor still wishes to post the bond. The depositor contacts the Bonding Agency. 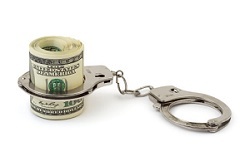 The Intake staff or Supervisor calls the Bail Clerk if Bonding Agency is willing to post the bond. When the Bail Clerk arrives in the Public Lobby and receives the deposit from the Bonding Agency for the bail posting the Intake staff or Supervisor notifies the other law enforcement agency that issued the warrant, detainer or other holds at the next appropriate time/date, if bail is posted. The Bail Clerk notifies the Probation Department by phone of bailed inmates with an ordered condition of bail for electronic monitoring (ELMO).